Already named “A Model Program for Wildlife Conservation and Economic Empowerment” by the South African government, in 2017, LAEO's 36,000-acre wildlife preserve, called Mayibuye, was awarded more than $3 million to expand training for the indigenous people, as well as funding a large alien plant eradication program. On right picture, Barbara Wiseman ans Yvette Taylor (LAEO International) with Government officials project manager Clive Poultney. 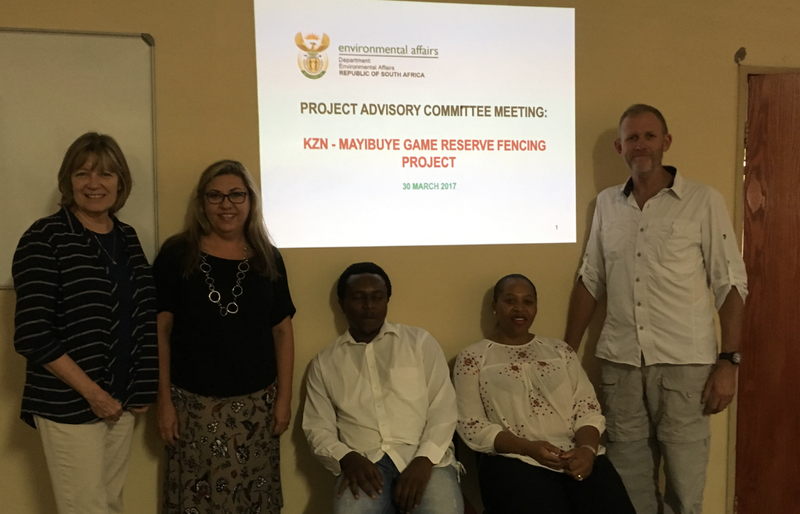 48½ miles of electrified fence has been completed with only 1 more mile to go to enclose the entire property in preparation for the South African government's re-population of our land with African wildlife. 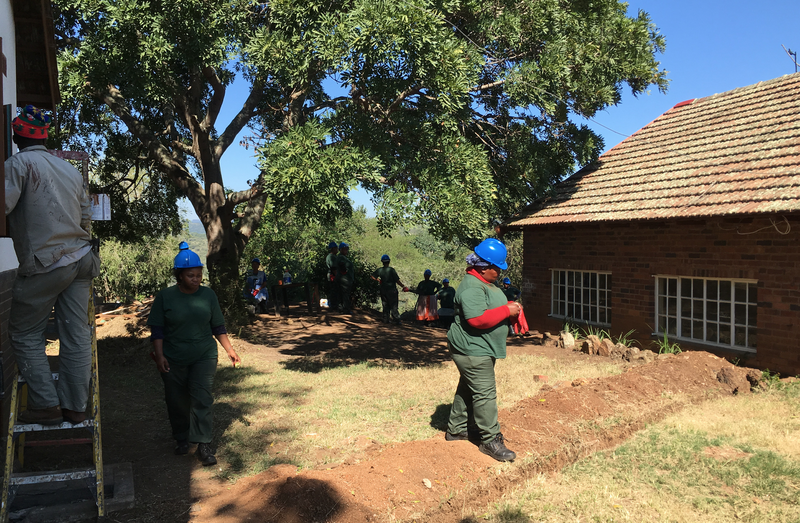 Additionally, 50 miles of internal roads have been completed, readying it to become a full Eco Tourism hotel facility and preserve, in 50/50 partnership with the local Zulu community. Through economic empowerment, its purpose is to turn ocal poaching activities into far more constructive commerce, and will provide an effective model for similar implementation in other areas. We sincerely hope that, in celebration and support of the progress we’re making, you will make a generous end-of-the-year donation. Your gift will help to implement real solutions to the worldwide scourge of toxic chemical pollution destroying our waterways, soil and air; and help to raise awareness of the importance of responsibly caring for the planet, and how to do it.